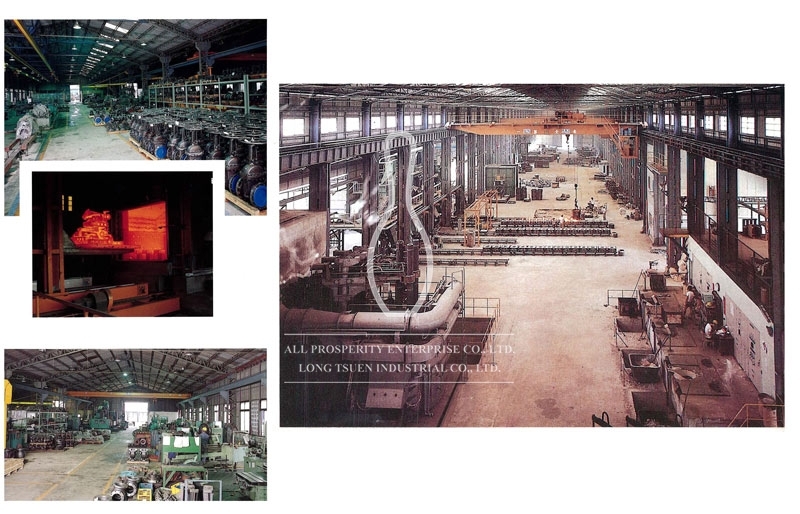 ALL PROSPERITY ENTERPRISE CO., LTD. established in 1975, is the professional manufacturer and export of various Valves, Pipe Fitting, and Flanges for more than 38 years. We began manufacturing Bowling Brand Malleable Iron Pipe Fittings which is well known by its exceptional quality. Following the traditional persistence of quality and leveraging the knowledge from our technical sales force, engineering and service teams, we can offer Safety Valve, Ball Valve, Gate Valve, Globe Valve, Check Valve, Butterfly Valve, Strainer, Pressure Reducing Valve, Expansion Joint, Control Valve, Pipe Fittings, Flanged, Steam Trap Thread End conforms to BSPT, NPT and DIN specification and flange ends conform to JIS, ANSI, BS4504, PN 10, PN 16 standard. We do supply Bowling Brand Valve, Pipe Fittings, Safety Valve, Ball Valve, S.W. Brand Pressure Reducing Valve/ Air Vent/ Strainer and SB Control Valve. All Prosperity Enterprise Co., Ltd. offers a wide product range for piping applications in the Oil & Gas, Chemical Processing, Water System, Instrumentation, Semiconductor and General Industries, and also provides the OEM/ODM as per customers’ requirement. "To serve our customers, to do our best and produce exceptional products will always be our goal." With this in mind, I sincerely express my appreciation. As we look to the future, we will strive to produce goods and services that will merit your support.